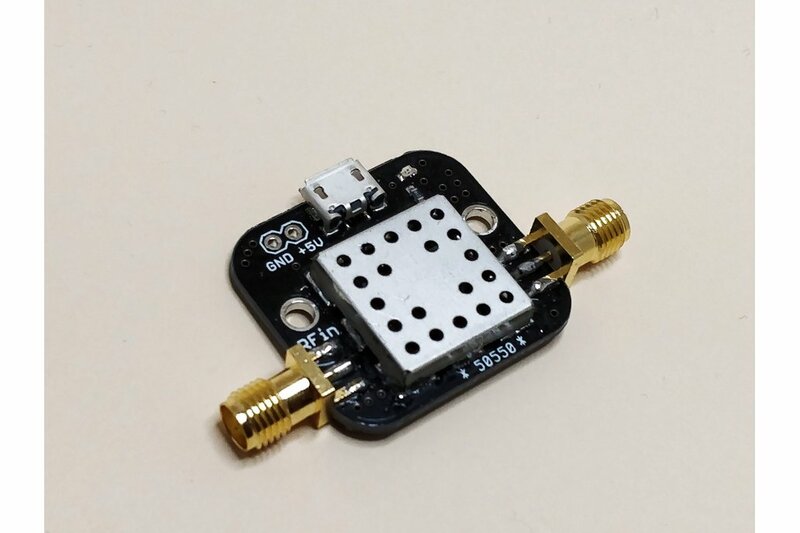 This is a 1420 MHz pre-filtered low noise amplifier for Hydrogen Line measurements that provides excellent gain and noise figure. 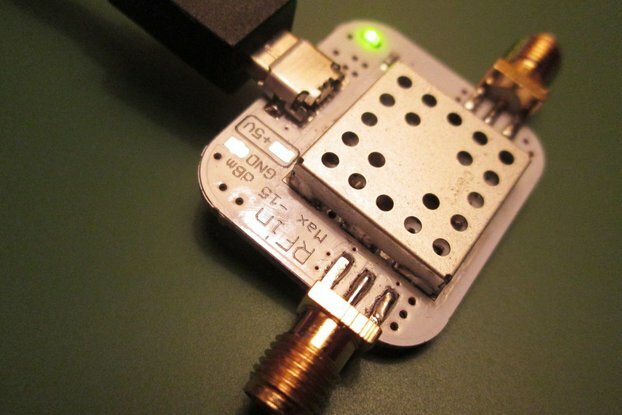 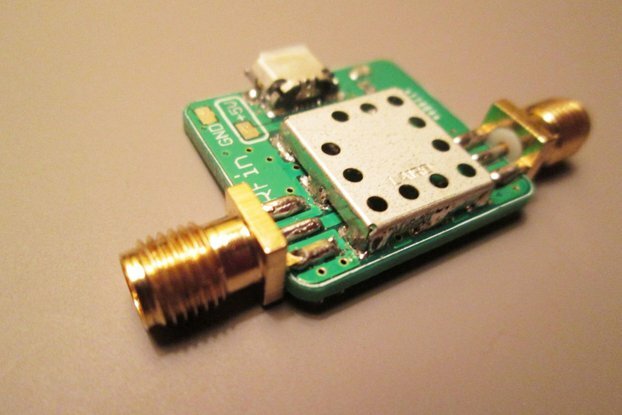 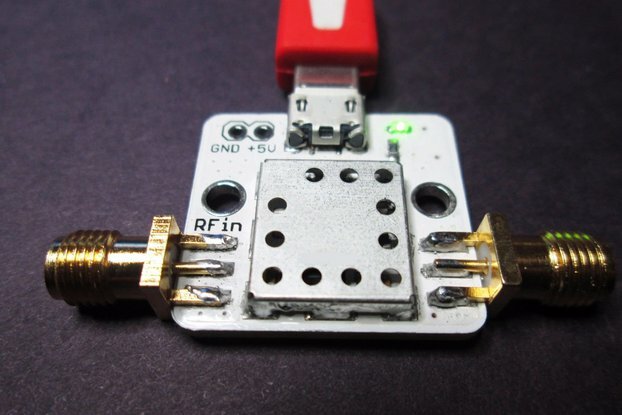 This module can be powered using a micro-USB cable. 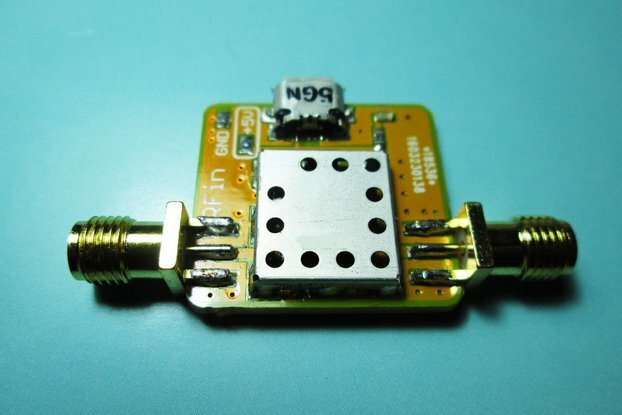 A two pin header pad is also provided so that a DC supply ranging from +5V to +12V can be used instead to power the LNA. 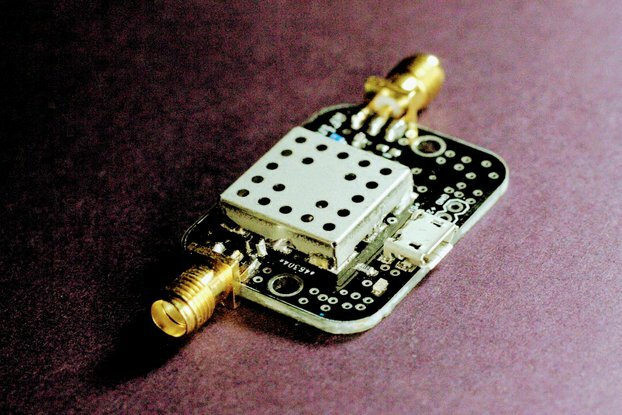 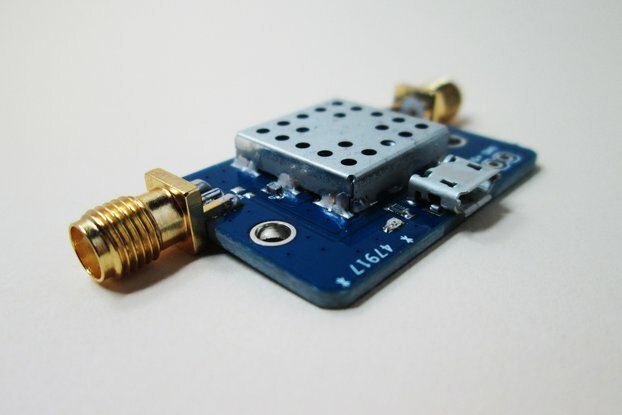 This variant of the product has a Bias Tee installed on the output so it can also be powered with a DC supply over the RF cable provided by the receiver. 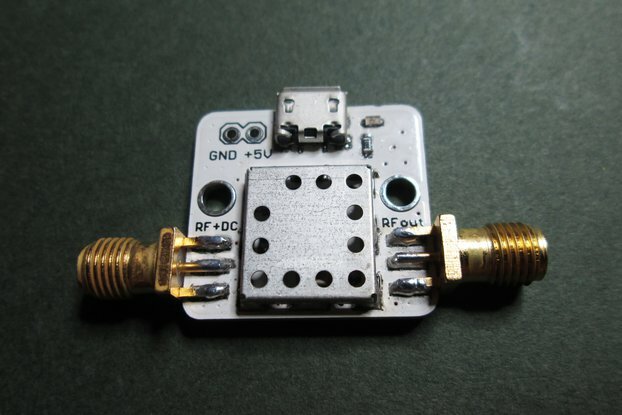 Please note that this module has a Bias Tee on the output. 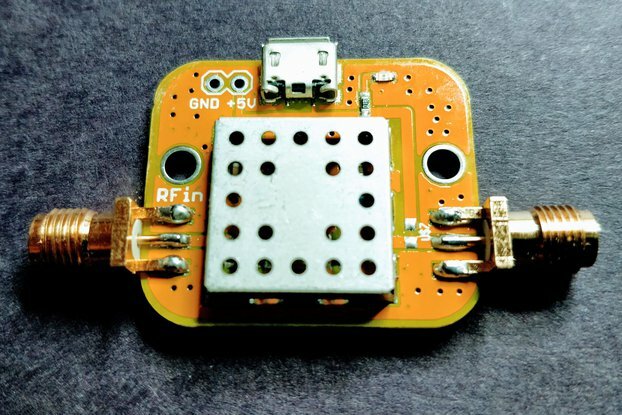 If it is powered using the DC header or USB connector, there will be a DC voltage present on the Output of at least +5 V. If your receiver cannot tolerate DC, you will need to use a blocking capacitor between the output of this module and the input of your receiver.